Money follows math, the saying goes. Yet, African American college students are over-represented in majors that lead to low-paying jobs. That is according to new research from the Georgetown University Center on Education and the Workforce, which finds that black students represent just 7% of STEM majors, although they lead to the highest paying positions. Unfortunately, as a nation, the U.S. is notÂ known for clear, logical math instruction. And in schools in low-income communities and communities of color, there are fewer expert, experienced, innovative teachers, which may account for some of the lower test scores some of those schools produce. 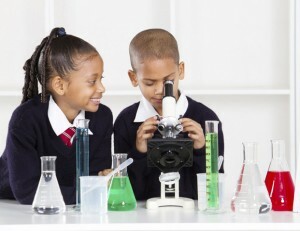 Poor preparation is no doubt one reason many black students avoid STEM majors. But in 1999, a quiet revolution in math and science education was started by an MIT grad who just happened to love physics. His approach is on the ground in 150 schools in New Jersey and is making waves in the Gambia in West Africa, where there’s been a 600% increase in students getting top scores on international physics tests. Bob Goodman has also met with ministers of education in the Caribbean and been approached by Phillips Academy Andover, an elite private school. If Goodman had his way, majoring in STEM subjects would be within reach for all students, for at the core of his approach is the simple but powerful conviction that all children can learn. His class had no tables–so he “borrowedâ€ round tables from the teacher’s lounge and chairs from the cafeteria. He hadn’t planned it, but serendipitously created a socially constructivist learning environment. Social constructivism is an educational theory that emphasizes the collaborative nature of learning. It rejects the assumption that learning can be separated from its social context. Goodman would later do his dissertation on the theory. Goodman’s style of teaching allowed for a lot of collaboration–there was little lecturing, if any. He taught concepts, asked questions, and had students defend their answers orally. Within a few years more students were taking his classes. Then the school’s standardized math scores went through the roof. He was the 2006 New Jersey Teacher of the Year, “the first one from a vocational school, I believe,â€ he says. The state teachers union founded a nonprofit, the Center for Teaching and Learning, to help prepare teachers who were now being held accountable for student outcomes. 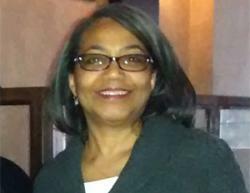 Goodman is one of CTL’s six founding board members.